I think they have forgotten to teach a lot of things in school lately. Like why the crusades happened. What liberals such as Bernie Sanders support is Democratic Socialism, which is more of a let-loose version of socialism. Capitalism only increases the gap between the rich and the poor. You're a special kind of stupid aren't ya. Do you have evidence to support that claim? Does a government or some other specified publicly appointed or democratically elected social organization control and regulate the means of production and distribution. Oh, they do... Well then yes, that is still just plain old socialism. 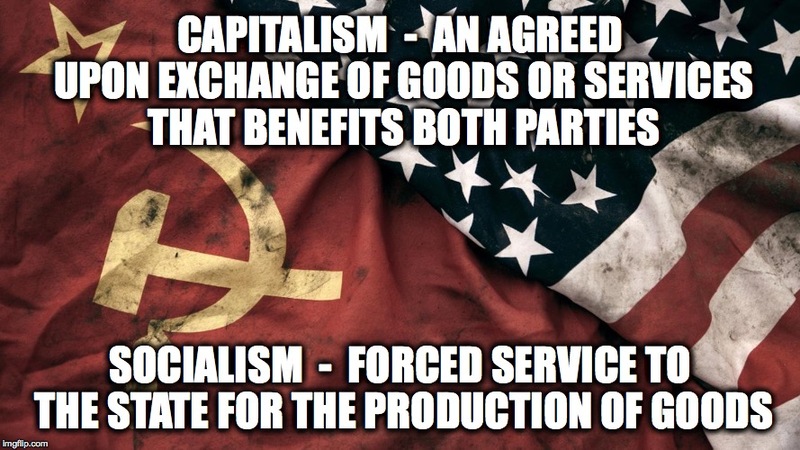 The only similarity in Democratic Socialism and Socialism is that many conservatives don't like either of them. The government probably should if the production becomes a monopoly. Remember Theodore Roosevelt's presidency? Democratic Socialism gives out more freedoms. Government regulation and intervention always lead to market failures. The great thing about Capitalism, is that the free market takes care of itself. Liberals never wanted a big government. The government they support isn't the type of government that oppresses abortion and gay marriage. Is it not insane to care more about human rights than money? May I also mention that Herbert Hoover, president during the Great Depression, was a Republican? 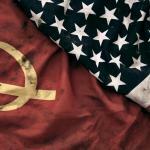 Since when did socialism create money-hoarding monopolies? Did Jesus support Capitalism? I certainly remember Jesus supporting the poor more than the rich. This is why I honestly cannot think of a conservative capitalist being Christian. A majority of Conservatives don't care about women getting abortions or gays being able to get married. All they ask is do not have the government subsidize it, aka make the tax payer paid for it. And I'm sorry to be the one to tell you, but socialism has always been about monopolies. The only deference is instead of single owner or group of stock holders, who invest and risk their own personal wealth and fortune. Socialism pulls everyone's wealth together whether they like it or not, and despise competition. Unions are designed to control companies and keep their employees wages high by keeping the demand for there workers high, by controlling how many workers can join the union. Under dictators ...Not so much. Like Venezuela ,the example so many Conservatives like to mention. It's like it's the only socialist country they know. That list is not even verified. Look at the top. "This article needs additional citations for verification. Please help improve this article by adding citations to reliable sources. Unsourced material may be challenged and removed. (August 2016) (Learn how and when to remove this template message)"
The majority of conservatives don't care about gay marriage or abortions? 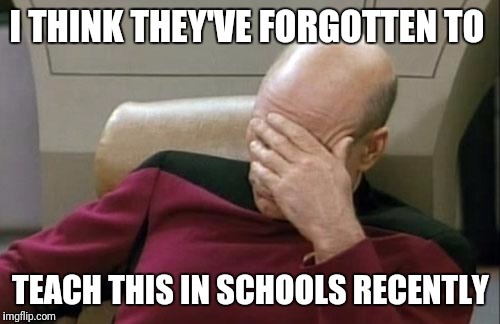 Well, for a start, I have come across countless memes preaching against abortions on IMGflip, and that's just on the Front page. More than that, I've also battled several Right-wing IMGflip users on the concept of gay marriage. If they "don't care" about those two issues, why am I coming across several preaching against them? Since when did money fuel freedom? Nobel Prize winner, Friedman may be, but that doesn't mean is completely right. Freedom and equality can aim for the same cause. Theodore Roosevelt's presidency kept businesses large, but broke up the corrupt ones. That was Roosevelt's goal. The Roaring 20s caused the Great Depression. With the low prices set for goods during that era, the bank system crashed. The president during the Roaring 20s was Calvin Coolidge, another Republican. If socialism is about monopolies, than why is it about pulling everyone's wealth together? Also, why should the government care about how much money the rich have, when there are much larger issues such as over-broad conflicts, pandemics, religious issues, ISIS, and the poor? If you think the wages are too high for workers, than tell me this: how would you like to return home with two cents a week? If that's exaggerating, I could decrease the wage to how much child workers were paid in the days of large companies supported by Capitalists. Did Jesus support large companies when he was alive? 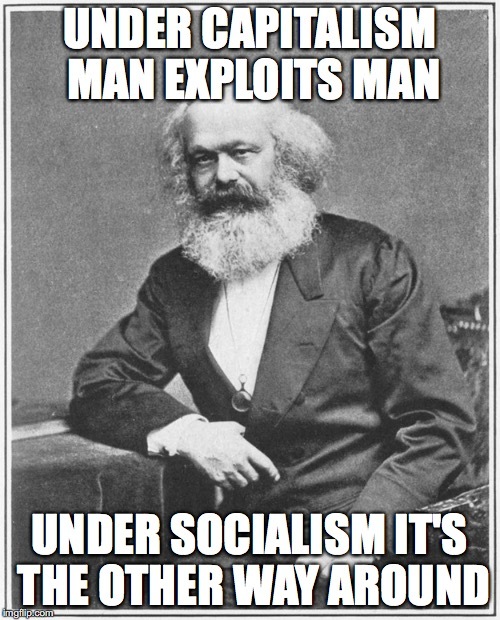 He technically didn't, because no large companies existed during the time he was alive, neither did the concept of Capitalism. I could go on..
And yes, Conservative Christian organizations donate money to charities created by churches who want to buy airplanes. If you go to church, have you ever seen a scruffy minister? Also the current President usually is never in office to see his policies effects on the economy. So it is usually the next President or two that has to deal with their mess. Side note Calvin Coolidge passed the fewest laws and regulations in U.S. history, and also was the only President to have lowered the national debt. You proved my point with socialism about being a monopolies. Forcible pulling everyones money together for a singular government or business entity. And I agree there are much bigger issues face the world than how much money people make. The only people that ever really seem to complain about the rich are Democrats and Socialists. As for low pay throw away comment, I would hope I develop a skill or find a new career that would earn me a higher check, or start my own business. I don't like child labor, but people tend to forget that parents are the ones who allowed their children entered the labor force to help support the family. So I would say that is more on the parents than on the businesses. "Render unto Caesar, what is Ceasar's..." "A man reaps what he sows..."
I see your problem though, you get your news from John Oliver and the Daily Show. Those are comedy shows!!! You have a very selective view of history, only citing the parts that favor your view. You should read the full story, not stop at the part you agree with. Where you find socialism, you find censorship, oppression, genocide. 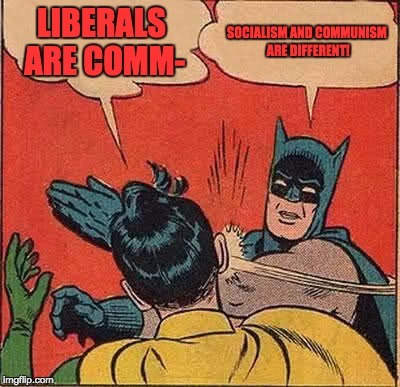 I am done with this conversation.. but if you think socialism is so great, why don't you go move to Cuba or Venezuela and see what Socialism is really like. That doesn't even make any sense. Not all liberals are socialists. That's like saying all Christians are young earth creationists, or all Jews are Orthodox, or all Buddhists live in Tibet. Socialism is a political/economic system. Liberalism encompasses a large variety of economic, political and social issues. Just yesterday on the radio I heard someone say that liberalism and Marxism fall under the definition of treason, which is a capital crime. So I'm assuming that that person think liberals should be put to death. But it's liberals who are the crazy ones? Yes... It's a epidemic that needs to be stopped, HENCE the above meme. If they have policies, isn't that human enough? However there are two types of Liberals that exist today, Classical Liberals and Modern Liberals. Modern Liberal identify as progressive social justice warriors (SJWs) who are actually regressive, as Dave Rubin from the Rubin Report calls them. And only care about social justice policies no matter what right or laws they have to break or get rid of to full fill their evil ideology. The Modern Liberals consider the Classical Liberals to be too conservative or right wing. And as we see through out history and is even happening in the Democratic party and on college campuses today, the left is eating itself. I noted you left out the most important part of Bohnson's Meme. The who is teaching our children, and he is absolutely right. Less than 5% of teachers and professors identify as Conservative. Liberals (or people who identify as Liberal) are actively trying to censor Conservatives in academia and in the entertainment industry. I agree that many teachers and professors are liberals, but I doubt it's 95%. A number of high school teachers try to teach creationism alongside evolution, despite the fact that they aren't allowed to. The only places that can get away with what you are talking about are religious and/or private schools. It's true that people can believe what they want. But public schools cannot teach creationism because the Supreme Court has ruled that it is basically an endorsement of religion. The very same people who have no problem with Christianity excluding other belief systems demand inclusion when they are the ones being excluded. Also considering that our country was founded and based on Jewdayo Christian values. I do not really see a problem teaching Christianity in our school systems, it is part of American culture whether you like it or not. It just seem to me that you are one of these people who have a problem with the pledge of allegiance because it says "One nation under God... "
Why is it we never hear from practicing Jews, Hindus, or Buddhists complain about too much Christianity in the U.S. public education system? I hope one these explanations helps you understand why Christians defend the inclusion of Christianity in our education system.